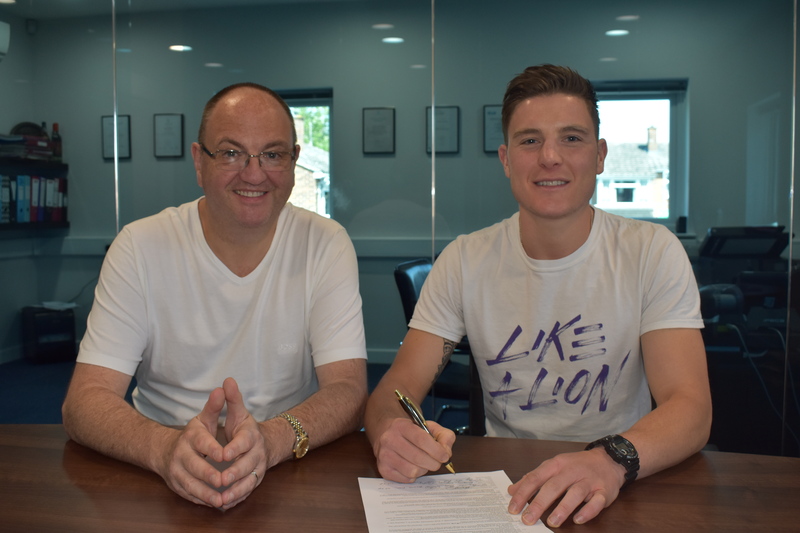 26-year-old Kieran Leinster is the latest prospect to put pen to paper and sign a three-year management deal with Goodwin Boxing. Berlin Born but Teddington based Kieran comes from the Queensbury league featured on Eurosport where he has been very successful featuring many times on TV and winning many of the Queensbury titles. “I felt the time was right to take the next step and compete at a professional level. I believe I have what it takes to win professional titles at a good level” said Kieran. The team spearheading the training side of Leinster’s career are the State of Mind Fitness team in Hammersmith headed by Barry O’Connell with Sean Earles. Kieran will now undergo the application process with the British Boxing Board of Control and all things being well, aims to make his professional debut in September 2018. “I am delighted Kieran has chosen to sign with us, “ said Steve. “There were many other managers after his signature and it was appreciated that he chose us to look after him. I have watched many of Kieran’s bouts and he is a crowd pleaser and a great addition to the Goodwin team”.